This week we celebrate the birthday of David A. Adler (the A. is important, because there is a famous architect and a famous physicist named David Adler). I have a special place in my heart for this author. He was a former teacher and got serious writing books as a stay at home dad on child care leave with his first son. He has talked about writing during nap times which is how I began writing this blog. Gotta love nap time! I contemplated this blog post for quite a while before I even began reading the books. 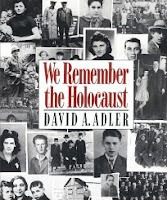 I knew it couldn't be like my other posts because David A. Adler has published over 200 books. Many of these books are non-fiction and many others are fiction written in a series. I laughed to myself when Adler was asked in an interview if he ever had writer's block and he replied, "No." He likes to make lists - lists of ideas, characters, settings, etc. He says if he works enough with a list then it eventually turns into an idea. Amazing... But, with that being said, he doesn't view himself as a great writer, but more as a great rewriter. He feels his first attempt at an idea is not very good, but it is the numerous revisions that turn the ideas into great books. I tried to organize his books into subject areas. Even some of the subject areas needed to broken down into categories. My hope is you will be able to find a book that fits your current needs. Please post comments if you see that I missed anything. I also tried to add additional resources that might be useful. 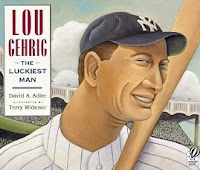 The books are listed chronological order in hopes of bringing some organization to such a great list of picture book biographies. These books are great at presenting the life story of the famous person and they read very well aloud. My daughter did want to mention that we read The Picture Book of Thomas Jefferson (her favorite president) and we learned that his birthday was April 13. Christopher Columbus , Benjamin Franklin , John Hancock , George Washington , Patrick Henry , Samuel Adams , Sacagawea , Paul Revere , John and Abigail Adams , Thomas Jefferson , Dolley and James Madison , Davy Crockett , Lewis and Clark , Louis Braille , Abraham Lincoln , Robert E. Lee , Sojourner Truth , Frederick Douglass , Harriet Beecher Stowe , Florence Nightingale , Harriet Tubman , Thomas Alva Edison , Amerlia Earhart , George Washington Carver , Anne Frank , Eleanor Roosevelt , John F. Kennedy , Helen Keller , Martin Luther King Jr. , Dwight David Eisenhower , Jackie Robinson , Jesse Owens , Thurgood Marshall , Rosa Parks . 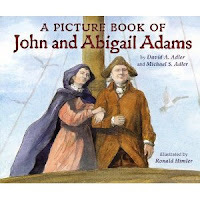 Many of these books are covered in An Educator's Guide to David A. Adler's Picture Book Biographies: An American Bookshelf, From 1492 through 20th Century, K-3. 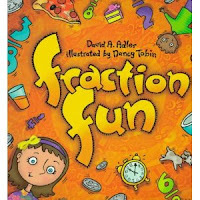 This is great resource that includes vocabulary for each book, lesson ideas (tied to subject areas), and reproducibles. Visit Bio4Kids site for more biography info. Also ALA's biography site makes recommendations for kids. David A. Adler's most successful fiction series is Cam Jansen. There are over 30 titles written for readers that have graduated from early readers but are not quite ready for middle grade novels. When Adler started writing the series back in the late 70s/early 80s, the publisher was initially critical of the books. They felt the books moved too fast. Adler sold them on the idea of writing for children who aren't ready for books that take many pages for something new to happen in the story. He writes these books for children that are "in transit" to more difficult reading. Hi Eric! I'm visiting from UBP! Hope you can drop by my Party! !